Over the course of the last decade, it’s been a Sisyphean task to get lawyers to lay aside rigid ideas about forms of production in e-discovery and focus on selecting forms that function. “Forms that function.” Forms of production that work. Ever since the demanding class, “Architecture for Non-Architects” at Rice University, I’ve been a wannabe architect, and the battle cry, “form follows function,” my mantra. It’s ascribed to Louis Sullivan, legendary American architect and Father of the Skyscraper. “Form follows function” fairly defines what we think of as “modern,” and it’s a credo at the heart of the clearest idea I’ve had in a while, being that we should produce e-mail in forms that can be made to function in common e-mail client programs like Microsoft Outlook. I don’t point to Outlook because I think it a suitable review platform for ESI (I don’t, though many use it that way). 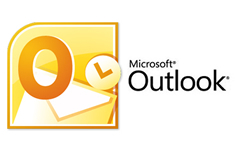 I point to Outlook because it’s ubiquitous, and, if a message is produced in a form that can be imported into Outlook, it’s a form likely to be searchable, sortable, utile, and complete. More, it’s a form that anyone can assimilate into whatever review platform they wish at the lowest cost. The criterion, “Will the form produced function in an e-mail client?” enables parties to explore a broad range of functional native and near-native forms, not just PSTs. It an objective “acid test” to determine if e-mail will be produced in a reasonably usable form, that is, a form not too far degraded from the way the data is used by the parties and witnesses in the ordinary course. Forms that Function retain essential features like Fielded Data, allowing users to reliably sort messages by date, sender, recipients, and subject, as well as Message IDs, supporting the threading of messages into coherent conversations. Forms that Function supply the UTC Offset Data within e-mails that allows messages originating from different time zones and using different Daylight Savings Time settings to be normalized across an accurate timeline. Forms that Function don’t disrupt the Family Relationships between messages and attachments. Forms that Function are inherently electronically searchable. Best of all, producing Forms that Function means that all parties receive data in a form that anyone can use in any way they choose, visiting the costs of converting to alternate forms on the parties who want those alternate forms and not saddling parties with forms so degraded that they are functionally fractured and broken. Craig Ball of Austin is a Board Certified trial lawyer, certified computer forensic examiner, and electronic evidence expert. He’s dedicated his globetrotting career to teaching the bench and bar about forensic technology and trial tactics. After decades trying lawsuits, Craig now limits his practice to service as a court-appointed special master and consultant in computer forensics and electronic discovery and to publishing and lecturing on computer forensics, emerging technologies, digital persuasion, and electronic discovery. Craig writes the award-winning Ball in Your Court column on electronic discovery for Law Technology News and is the author of numerous articles on e-discovery and computer forensics, many available at craigball.com. Craig Ball has consulted or served as the Special Master or testifying expert in computer forensics and electronic discovery in some of the most challenging and well known cases in the U.S.
Craig Ball © 2013. All rights reserved.